Imagine a police officer suddenly approaches and grabs you. This officer does not speak the same language as you, and as you try to communicate– to find out what the heck is going on–the officer becomes increasingly aggressive. How would you feel? Scared? Isolated? Confused? Powerless? This scenario is not as uncommon as you may think, and it occurs right here in America. Deaf individuals attempting to interact with hearing authorities, emergency responders, or hospital staff are denied basic access to communication and, in some instances, their lives are put into jeopardy. Recently, the story of California resident Jonathan Meister made headline news. Profoundly deaf, Meister was loading some personal items into his car at a friends house when the police arrived on the scene for a reported burglary. Because he was unable to hear the officer’s orders, Meister did not comply with their requests. The police allegedly approached Meister and detained him by grabbing his arms behind his back which, for a person who uses ASL to communicate, can be extremely disempowering. Meister, panicking, pulled his arms away and attempted to let the officers know he was deaf. The police mistook his gesturing for aggression and used tasers and brute force to subdue the man. Beaten until he was unconscious, it turned out Meister was completely innocent of any wrongdoing. 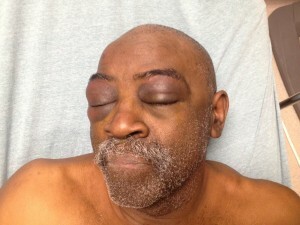 A few months ago, 64 year old Pearl Pearson alleges he was punched in the face until his eyes bled for failing to obey orders from Oklahoma Highway Patrol Officers that he could not hear. In February 2012 a deaf man named Robert Kim sued the City of Bridgeton, MO after he was tasered by police during a roadside incident in which he had fallen into life-threatening diabetic shock. Unable to communicate, and in a state of disorientation, the man was berated by an officer and tasered at least 3 times before receiving the medical attention he so badly needed. A hospital stay can be a frightening experience for anyone, but imagine how powerless it feels to be in a medical setting where you cannot communicate. A recent example of this occurred over in the UK when a deaf couple was not provided an interpreter during the birth of their son. The couple claims the London hospital did not provide a sign language interpreter during the labor or birth of their child, nor during the 8 day hospital stay that followed; although they were told repeatedly that there was an interpreter on the way. Because they were denied access, their monumental life event became a frustrating, confusing nightmare. While the Americans With Disabilities Act requires equal accommodation in public settings, hospitals have been charged time and time again with neglecting the needs of deaf patients. 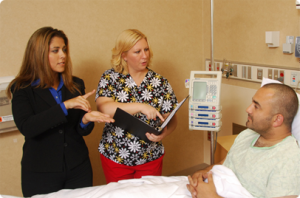 Many people assume it is acceptable to write messages back and forth with a deaf patient. This is incorrect. Some individuals who use sign language as their primary means of communication are not familiar enough with written language to have an important medical discussion on paper. 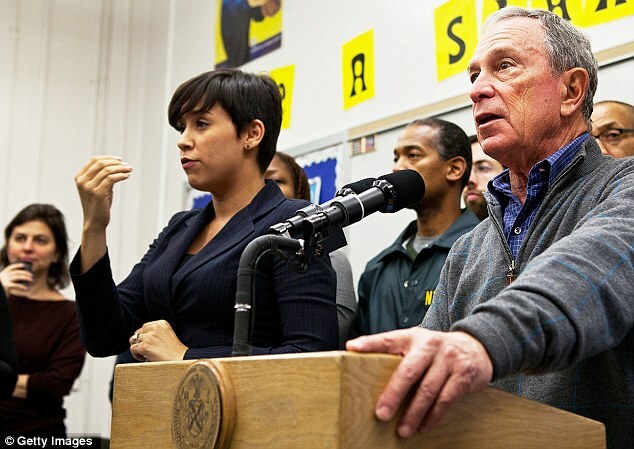 Without an interpreter available, a deaf person who uses ASL to communicate simply can not receive the same level of care as a hearing individual– this is not equality. 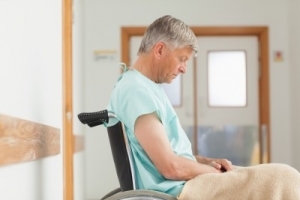 A few years ago in Florida, a lawsuit was brought against Baptist Medical Center by seven hard of hearing patients who claim they were denied their ADA rights. The patients all reported feeling neglected, isolated, and afraid when they were not provided sign language interpreters during their hospital stays. The plaintiffs were not seeking financial compensation in the case, they just wanted to make sure no future patients endured the same treatment. In recent news, we have seen the tragic story of Alfred Weinrib, an 82 year old deaf man from Long Island who died after 3 hospitals failed to give him his diagnosis. Weinrib died of malignant melanoma without ever being told he had cancer. Over the course of 7 months, Weinrib was denied basic human rights, even attempting suicide after his pleas for assistance using the bathroom went ignored by employees at the facility. This is sick. And wrong. And absolutely not equality. Suicide attempts are not that unusual among deaf individuals who are unable to communicate. When they feel trapped and alone in an institution that does not respect them, it can be hard for people to see any alternative. A few years ago, the family of Shawn Francisco Vigil filed a lawsuit after Vigil attempted to hang himself in a Denver jail, and then died a few days later. Vigil, who was serving a one month sentence, was segregated from the general prison population because he was deaf, and was never provided an interpreter for any interactions which occurred within the jail– including a mental health screening. Had he received the same preliminary treatment as hearing prisoners, and not been forced into a form of solitary confinement, it is possible this 23 year old man could have rehabilitated himself and gone on to live a successful life. But now we will never know. The Americans with Disabilities Act provides legal protection for deaf Americans, yet it’s a constant battle to have these rights recognized. Deaf individuals aren’t asking for special treatment, they only want access to the the same quality of experience hearing people have. Communication is especially important in situations which are already traumatic, isolating, and stressful. Times of personal crisis are not when we want to be advocating for our basic human rights. When does the oppression stop? When will our society accept that deaf people can do literally everything hearing people can do, except for hear? It is 2014 and there are more than half a million people in the United States who rely on American Sign Language to communicate. Deaf children in schools, deaf patients in hospitals, and deaf citizens of the world deserve equal opportunity. People should never suffer because of a simple communication barrier. One Response to When Will the Oppression Stop? Hi Austin ! Little by little we are all making a difference and we will definitely get there sooner than later, thanks for being a ally.